Brewing your digital marketing & social media from the grounds up. You’ve seen the ads in your newsfeeds. 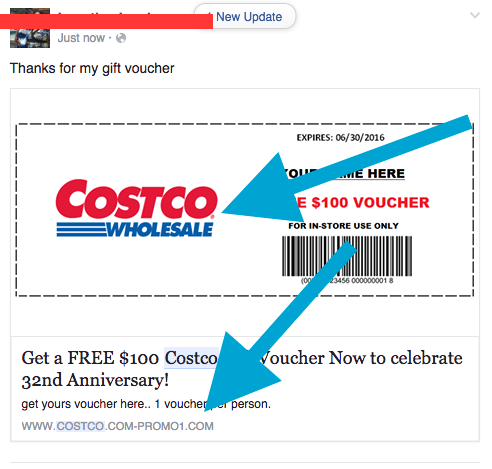 Free coupon for something at Costco. Or $100 voucher from Walmart or Target or Whole Foods or Babies R Us…. They’re fake. They’re scams. If these links asking for your mailing address or other personal info, you can be sure scammers are using it for something nefarious. Here are some examples of these scams and how to spot them. Rule #1: If it sounds too good to be true, it’s fake. 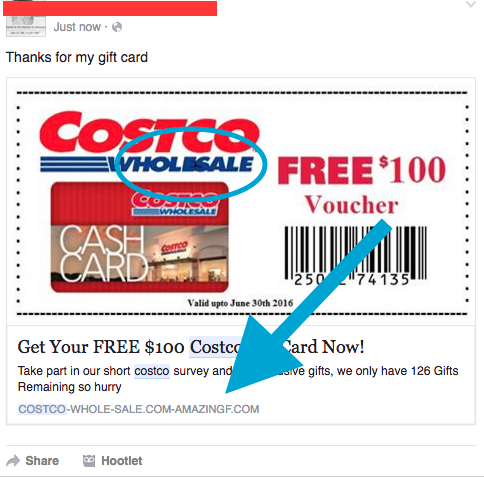 Rule #3: Look at the coupon image. As you can see in the image below, the first “e” in Wholesale does not look the same as the second “e.” The color is also off from the official Costco logo. Rule #4: Where are the details? You’ve seen a “normal” coupon from the Sunday newspapers, right? There are always rules on how to use your coupon. There are not terms or conditions on these. Anyone can fake a bar code. Rule #5: Check for typos. See the last part of the coupon? “Valid upto June 30th 2016” That’s not even a sentence, and that’s a typo. Costco would never publish anything with typos. 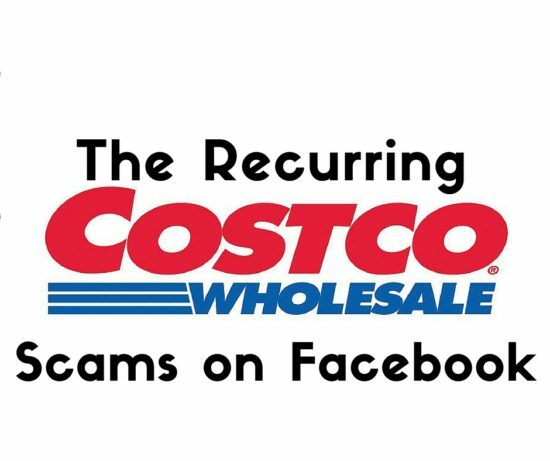 When in doubt, contact Costco. 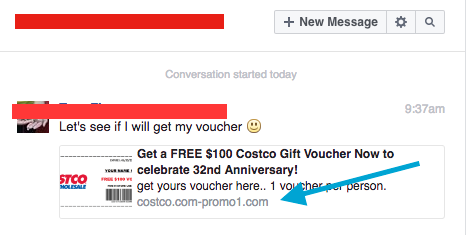 They’ll tell you if they are offering real coupons. I hope this helps someone in your community spot scams and fakes. Share this post. Tell someone how to spot these scams. Educate your community and network. This website is a great place to go to check if something is real. Thank you so much for this info. I would have never thought to check the website as it does appear to be from Costco since it’s in the URL. I’ll have to pass this along to my family and friends as well. Happy 15 Years, Applied Women’s Studies – CGU!